With New York Fashion Week in full swing, we’re all buzzing over what the biggest style standouts will be this year. 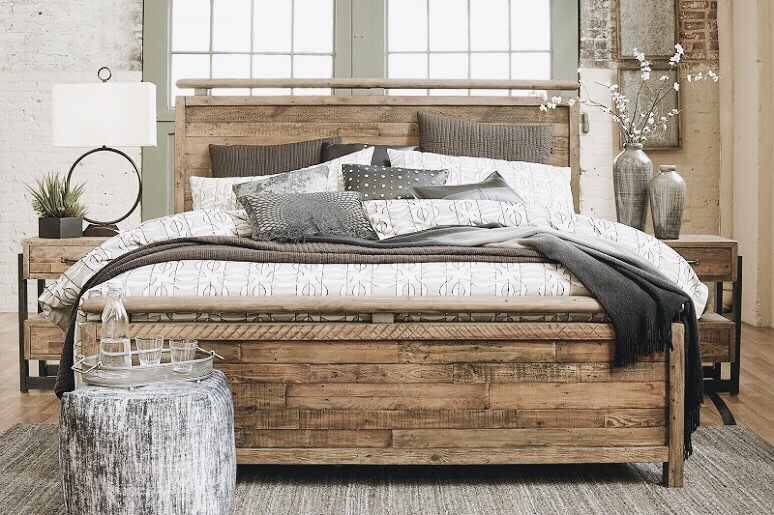 What we know for sure is that these three trends: rustic, glam and modern don’t seem to be going anywhere fast. We’re seeing them featured everywhere this season inside homes (and closets). There are so many different types of mattresses that it can be hard to decide which one is best for you. That’s why we’ve put together our mattress guide to help you find your perfect match. Explore the features and compare brands to find the best mattress to help you get a great night’s sleep. Have a room that’s overlooked? 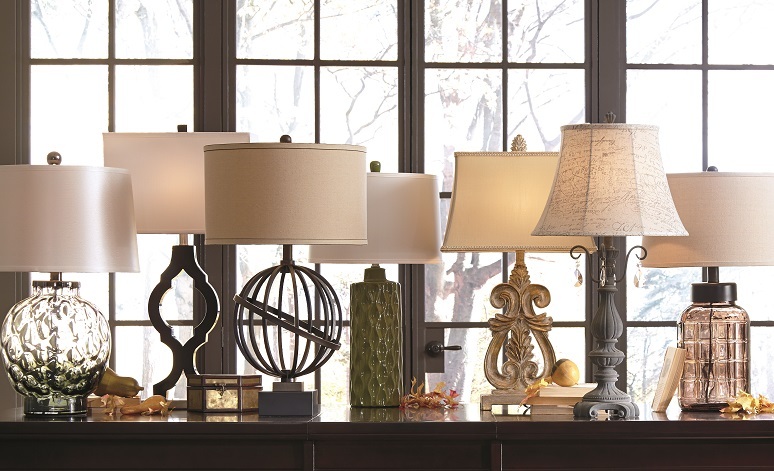 You can put the spotlight on style—easily and affordably—through the power of light with these lighting ideas for every room. It’s time for you to slip into your cozy socks, light the fire and make a cup of your favorite hot cocoa. However, to ensure you stay warm all season long, give these winter time essentials a shot. We have admired Natalie Thompson of Deeply Distressed for quite some time and were so excited to work with her on a master bedroom makeover! One of the latest styles that we’re sure your kids will love is timeless navy. It anchors a room like no other color can. Looking for bedding ideas? Chances are you’re not alone. 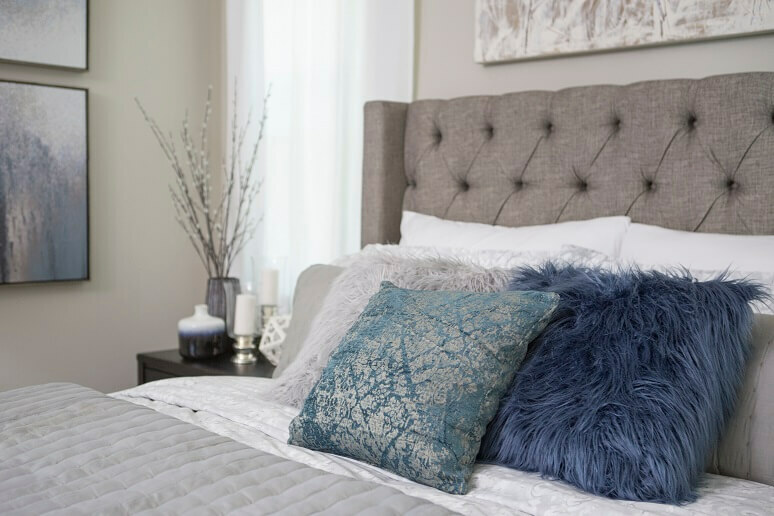 Choosing the right bedding stylesOpens in a new window can be overwhelming, but with some research and inspiration, Ashley HomeStore can help you make the perfect choice to tie your room together. You may have already purchased your mattress and the rest of your bedroom furniture, and although bedding may just seem like the icing on the cake…when it comes to comfort, it’s a choice that’s just as important as the rest of your room purchases. 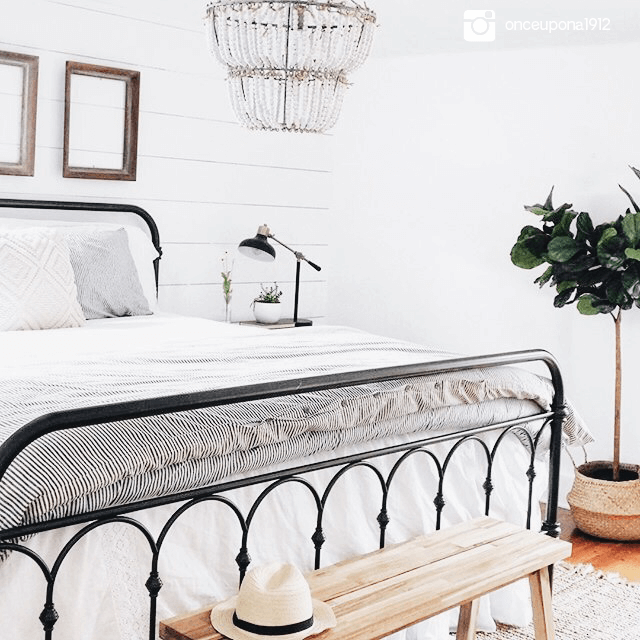 Whether you’re looking for soft and frilly comforter sets that make it easy to complete that feminine bedroom, or you’re in the mood for a sleek and stylish duvet with cover to match your modern mood, you’ll find that the types of bedding styles available will suit any design whim. Mention a bedspread – what springs to mind? It could be any number of bed coverings. Classic bedspreads envelope the whole bed, from headboard to footboard and down to the floor. However, shorter spreads like comforters, quilts, and coverlets are also considered types of bedspreads, and are more popular choices in today’s bedroom designs. Here’s a breakdown of bedspread ideas you can incorporate into your home. ComfortersOpens in a new windoware essentially thick, quilted blankets that are available in a wide range of fillings, colors, and patterns. If your bed is a queen you might automatically assume you need queen size bedding. Not so fast! Sizing up to king size provides extra bedding width and length, which comes in handy if your sleep partner is a blanket hog. Additionally, comforter sets, which include the comforter, pillow shams, and occasionally a bed skirt, are not only a terrific value, but they also take the guesswork out of putting together a coordinated look. The art of quilting began in 18th Century America when thrifty seamstresses stitched together scraps of cloth. These patchwork quilts oftentimes told stories about a family or an event. While some quilts are valuable enough to be treasured as family heirlooms or hang on walls as works of art, todays designs are often machine-stitched, making them affordable as well as beautiful. Not all quilts are patchwork. Some can feature a single piece of fabric that is stitched onto the other layers. Not only do quiltsOpens in a new windowadd character to a room, but they’re also versatile as they feature coordinating fabric on the reverse side, giving you flexibility to change up the look of your bedroom when the whim strikes. So, what exactly is a coverlet? Like quilts, they first appeared on the scene in the late 18th Century, and were traditionally small and woven. 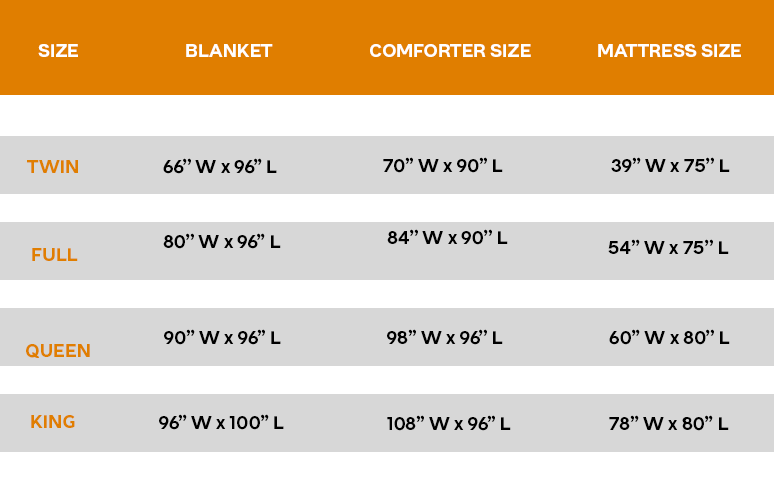 Today’s coverlets are not confined to just woven fabric, and like a lightweight comforter, they could be constructed with an inner layer of batting. 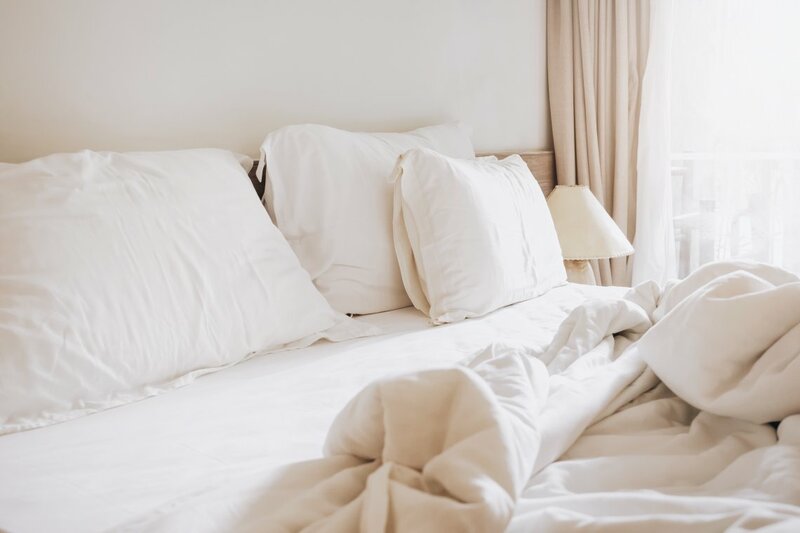 Coverlets are ideal as a top layer of your bedding wardrobe, but remember, if cold nights are an issue for you, they won’t provide much warmth. Duvets are a relative newcomer on the bedspread scene. Roughly the same size as a comforter, they are usually filled with down, feathers, wool, synthetics or a combination of these materials. As some sleepers use the duvetOpens in a new windowin place of a top sheet, you’ll want to protect it with a cover that’s easily removable and washable. An added bonus of using duvets is design flexibility – you can take advantage of the wide range of duvet cover colors and patterns available and easily update your bedroom. 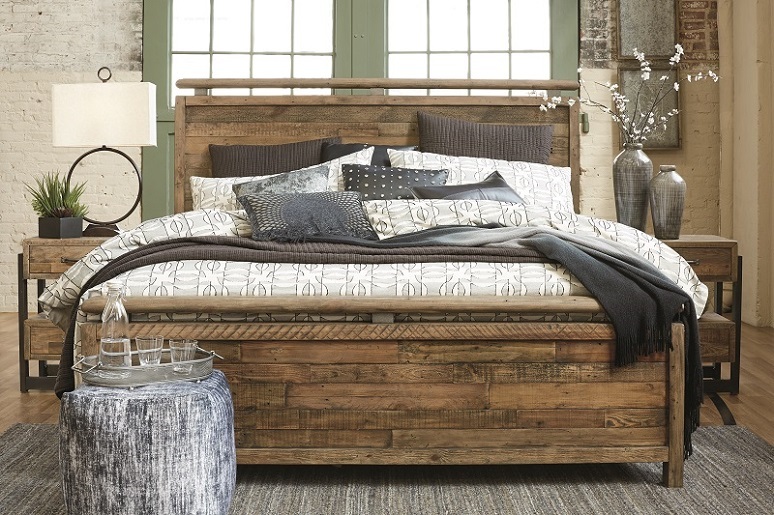 When it comes to dressing your bed, the options are nearly limitless. We’ve honed in on a few of our favorites to showcase the possibilities. When the temperature drops, pile on the layers. Add cozy blanketsOpens in a new window and throws to your bed ensemble. 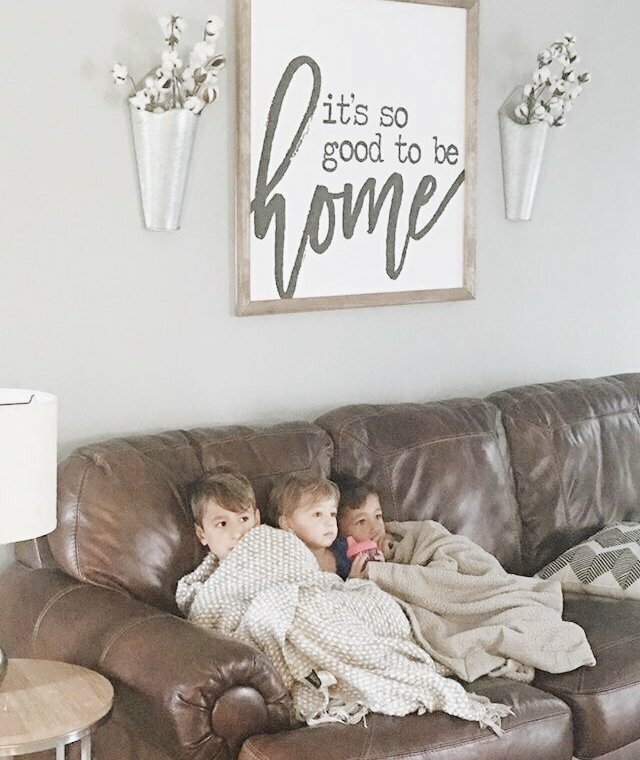 Keep the layers in the same color family for a cohesive look, and have fun by changing up the throws with the change of seasons. Don’t forget to pile on coordinating throw pillows for added fun. TIP: Remember, the accessories you choose for your room are just as important as the bedding styles. Find a theme that resonates with you and work around it for a refined look you’ll love waking up to. Create a tranquil environment by keeping your bedspread ensemble tonally simple. Bring on the zen with pleasing shades of taupe, beige, white and cream. You could even venture out with other neutral palettes like gray for a look that’s unexpected but still serenely neutral. 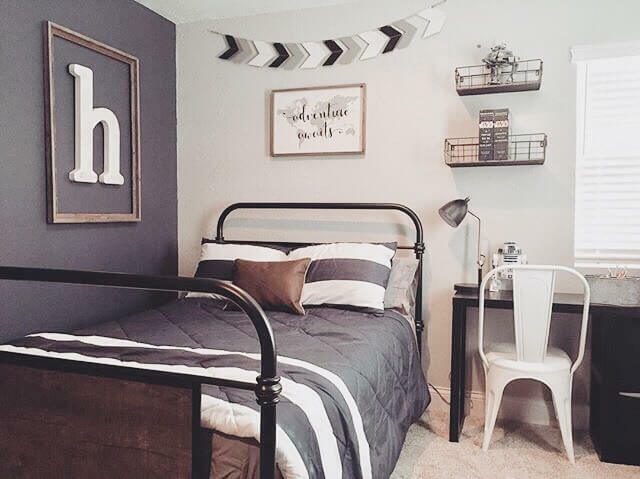 TIP: Simple, neutral-colored bedding creates a canvas for your creativity, so you can go to town with decor and accents that reflect your personality. Stripes are a simple way to add pleasing pattern to your bedroom. Neutral stripes are elegant and can be a discreet complement to your design aesthetic, while bold stripes can take center stage and set the tone for your room’s design. Blue and white stripes are naturally nautical, while black and white stripes lend a sophisticated urban flair. TIP: Keep scale in mind when decorating with stripes. If your bedroom is on the small size, stick to thin stripes, as wide stripes can overpower the room. On the other hand, if your room is large, wide stripes will make a bold statement, while thin stripes could look cluttered or busy. If your furniture screams “I’m a minimalist!”, you may want to steer away from romantic flounces and cabbage roses. Let the furniture in your bedroom guide you toward the right bedding style. For modern sensibilities, less is more, so keep your color palette simple. If you love the romantic look feel free to add all the flourishes you crave. Just a hint – keep your bedroom from going over the top by choosing timeless color combinations that you you’ll appreciate for years. Take a look at some ideas. TIP: If your bedroom furniture is dark, add drama by choosing light colored bedding and vice versa. Mix and match colors for a pleasing look that adds excitement to your room. Add several throw pillows in the same color scheme with different patterns to create an appealing landscape–or should we say pillowscape–on your bed. Fold your comforter or duvet cover at the top to show off pillowsOpens in a new window, and add a throw blanket or coverlet at the bottom for a crisp contrast. High-contrast colors give any room a lively jump start. Comforter sets in geometric patterns and bright colors are a happy combination. No doubt about it, the possibilities are endless when it comes to bedding ideas. If you’ve created your perfect bedroom with bedding or furniture from Ashley HomeStore, let us know at #myashleyhome. There’s something alluring about midtown style, and you’ll be happy to know you don’t have to be bound by the location to achieve it. This effortless look is truly a state of mind, mixing and matching upscale elements with urban pieces. The idea of melding two different styles may seem like a challenge, but we’re here to make it a piece of cake. We’ve simplified midtown styling by curating a look that centers around rustic-industrial pieces, refined by classy, sophisticated elements. As we go through a bedroom step by step, you’ll see how minor details can make all the difference. If you happen to live midtown, you’re probably living in a smaller space. But, keep in mind, it’s less about the size of a space and more about how you accentuate what you have. In a smaller bedroom, consider pieces that pull double duty, like beds with built-in storageOpens in a new window. As for other storage options, we love styling with the Sommerford collection. The bedOpens in a new window, nightstandOpens in a new window, dresserOpens in a new window and chest of drawersOpens in a new window all offer plentiful space with a streamlined design. 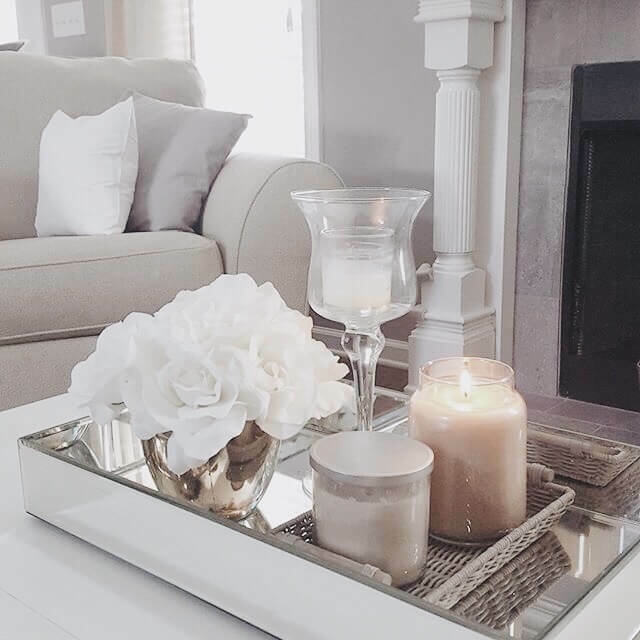 Neutrals help keep a space light, open and airy. It’s the ideal color palette for refined versatility, and our styled picks quell all notions of it ever being “boring”. Neutrals also give you the opportunity to play with textures and patterns. For example, beautiful pieces like the Dilanne vaseOpens in a new window add interesting dimension without being overwhelming. If you want to go bolder, try gold or silver metallic accent pieces for a well-placed pop that doesn’t stray too far from classic neutrals. If you’re not a fan of accent pieces that take up precious surface space, wall decor is your go-to styling choice. The DonnanOpens in a new window wall decor panels placed over a bed creates a modernized regal vibe. For a more contemporary feel, the DrayenOpens in a new window wall decor captivates with an intricate, lavish pattern. You’ll find the perfect balance of rustic charm and cool, industrial details with the Sommerford collection. If you want to take the edgy vibe a step further, look to the Talar floor lamp Talar floor lampOpens in a new window or table lampOpens in a new window to illuminate your space with urban inspired style. When it comes down to it, a bedroom should be a relaxing retreat, so don’t hold back on the comfort. Allow your tired feet to indulge in something soft and plush in the mornings with a stylish area rugOpens in a new window. To expand on the homey feel, place a plush poufOpens in a new window or two in the room to soften up the look, all while serving as a casual footrest or tabletop. A fresh element from the great outdoors is always welcome. Real plants are lovely, but the upkeep can be difficult if you have a fast-paced lifestyle. Our solution? Faux plants. There’s lots of highly realistic options to choose from—this trendy plantOpens in a new window has a natural feel we love. Which tips are you excited to try out? We’d love to see how you style your midtown chic digs. Share a photo with the hashtag #MyAshleyHome to spread the inspiration—we know it’ll be a stunner. It’s the shortest day (or longest night) of the year: winter solstice. For those of us in the Northern Hemisphere, winter solstice generally falls on December 21. Also known as the official start of the season, winter solstice can make anyone want to hide under the covers. If you’re a warm weather soul who plans on spending more time in bed in the coming months, better make yourself comfortable. With that said, we invite you into our winter solstice bedroom retreat. Starting from the ground up, we rolled out the cozy warmth of a Moroccan trellis-pattern rug with a decadently plush shag pile. It’s sure to make rolling out of bed on a cold winter’s morn less jarring. The onset of winter puts us in a quieter mood, so we downshifted our palette with less color and more texture. We mixed muted shades of gray and soft neutrals for a restful retreat. 3. Pile on the layers. 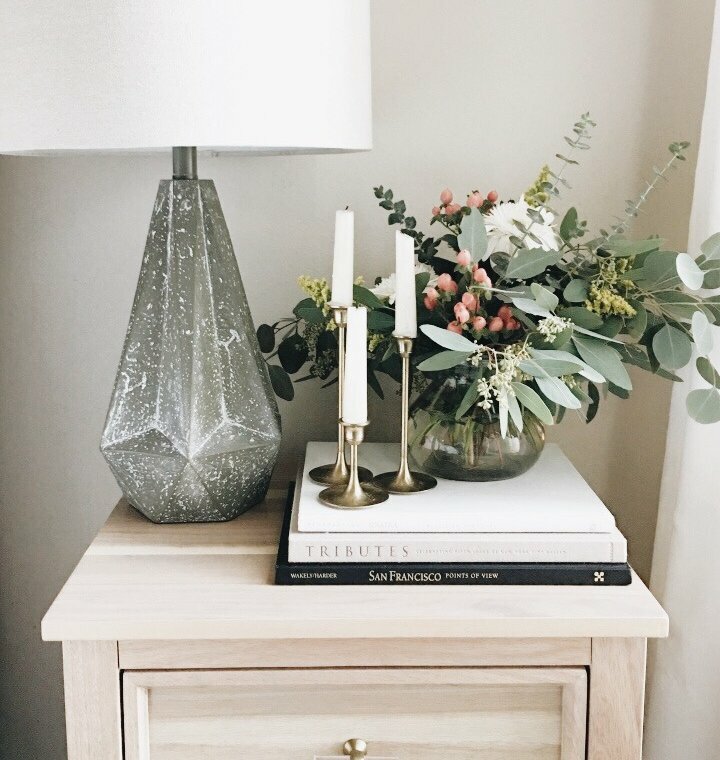 Winter’s overcast days and long, frosty nights call for bringing in more light, which we clearly did with clear-base floor and nightstand lamps. A simply striking wall mirror reflects precious daylight throughout the room. Flameless candles are a delightful touch. We decked the walls with abstract artwork reminding us of gently falling snow. For some subtle shimmer and shine, a few well-placed chrome-and silver-tone accents gave our winter retreat a touch of glam. See What’s Making the Hot List! 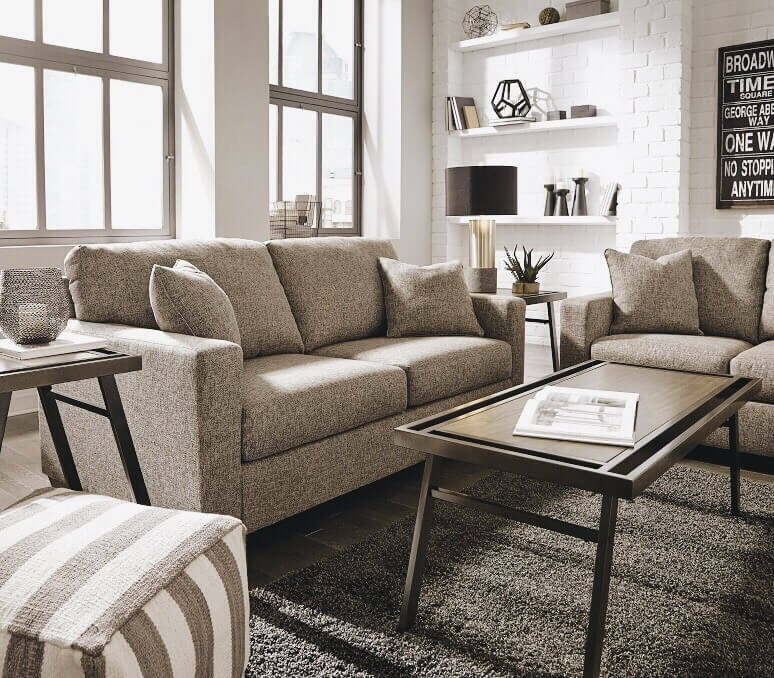 From simple and sleek to fashionably chic, we’re here to let you in on what’s trending and landing in the cart at Ashley HomeStore. We’ve compiled a list of top rated items customers are loving right now and we think you will too. Do you have a favorite? Tell us in the comments below. Don’t you just adore the virtually armless design of the Clarinda accent chair? It’s the perfect embodiment of classicism with a modern touch. And the medium-scaled footprint works great in any room, including a reading nook. So grab a cup of coffee and a good book because you just found a new guilty pleasure. So much style in one petite-scaled chaise? It must be the Shayla. Nothing fits a spatially challenged room or urban loft better than this cozy seating and lounging piece. Mirror, mirror on the wall who’s the most inspiring and dramatic of them all? That is the Oengus accent mirror. This palladium-shaped mirror is a perfect addition for farmhouse to industrial styled homes. The spacious scale creates an illusion of light, especially where windows are in short supply. It’s all about the ocean breeze and sand beneath your feet with the Fairholm duvet set. Transform your bedroom into a sweet retreat. We can almost taste the ocean. Whether you’re eager for a travel inspired getaway or a boho sanctuary, the Dalinda pendant light sets the scene. It’s a natural fit for those who desire soft organic light. The intertwining rope over the metal adds an airy touch over a dining table, kitchen island or even over your nightstand. Functional and fashionable? Yes, that’s what’s so great about the Navasota sofa sleeper. This luxuriously soft seating is certainly dressed to impress and crafted for comfort. While most sofa sleepers have room for one overnight guest, the Navasota houses a queen-size mattress with enough room for two to rest comfortably. There’s no doubt the Trinell TV stand is a hot item! Its farmhouse charm is soothing and so is the fireplace insert option. Whether you are locked in the house and avoiding the weather or catching up on your latest Netflix binge, with the Trinell TV stand you’ll always enjoy the view. Calling all minimalists. The Solena table lamp’s crisp monochromatic design blends style and substance. Inspired by rattan furniture, the lovely texture and metallic accent are sophisticated enough for any accent table, desk or nightstand. To check out more of our favorite top rated items, click here. And don’t forget to share photos of your home with us using the hashtag #myashleyhome.